Set in 1969, the new MTC drama Ink follows young Rupert Murdoch (Olivier winner Bertie Carvel) and Larry Lamb (Jonny Lee Miller) as they revitalize the struggling Brtish paper The Sun and turn it into one of the world’s most famous tabloids. 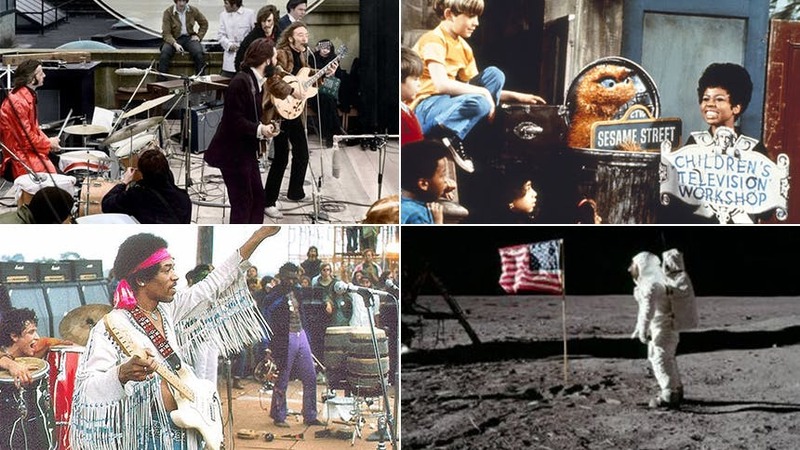 To give context to the wild world of 1969, here are 15 notable pop cultural milestones from 50 years ago. The Beatles gave their final live performance when they took to the roof of the Apple Corps building for a surprise rooftop concert on January 30. Later, on September 26 1969, they released Abbey Road. The supersonic airliner Concorde took her maiden voyage on March 2. Kurt Vonnegut published his seminal, semi-autobiographical war novel Slaughterhouse-Five on March 31. Eric Carle’s beloved children’s book The Very Hungry Caterpillar was published on June 3. Since its initial publication over 30 million copies have been sold and it was adapted into an off-Broadway play. LGBT liberation reached a milestone moment on June 28 when the Stonewall riots broke out in New York City. On July 11, David Bowie released “Space Oddity”, the first song on his second album. It became his first single to chart in the UK. Apollo 11 made history on July 20, and Neil Armstrong became the first man to walk on the moon on July 21. The Charles Mason Family cult murdered actress Sharon Tate and four others during a home invasion on August 8. The famed musical festival Woodstock became one of the most defining events of the era on August 15. Among the 35 performers were Janis Joplin, The Who, Grateful Dead, Jefferson Airplane, Joe Cocker, and Jimi Hendrix. Donald and Doris Fisher opened the first GAP store on August 21 in San Francisco. The Saturday morning cartoon Scooby-Doo, Where Are You! debuted on CBS on September 13, and America fell in love with Shaggy, Velma, Daphne, & Fred. The Brady Brunch brought blended families into America’s living room when they debuted with that catchy theme song on September 26. The sketch comedy show Monty Python’s Flying Circus debuted on the BBC on October 5. The revered television series Sesame Street debuted on the newly founded PBS network November 10. Dave Thomas founded the first Wendy’s in Columbus Ohio on November 15. Don’t miss ‘Ink’, running at MTC’s Samuel J. Friedman Theatre through June 16.